I read 47 books in 2014, which, strangely enough, is exactly the same number as I read last year--not sure that's ever happened, and certainly not since I started keeping track. It was a very odd year too, reading-wise, with periods of intense and enjoyable reading alternating with long fallow stretches in which nothing appealed and the thought of concentrating on a single work was positively wearying. Nevertheless, looking back at the books I did manage to read this year, I'm impressed with their quality and how much I enjoyed them. Usually these end-of-year posts include examples of the year's worst reads as well as the best ones, but this year I don't really have any nominees for the former category. The closest I came to a bad book this year was Dorothy L. Sayers's Five Red Herrings, in which Sayers takes her obsession with "fair play" mysteries to unreasonable extremes, bogging the reader down in minute descriptions of the various suspects' movements, travel time calculations, and of course train schedules, that completely overwhelm any interest we might have had in the characters, the detectives, and even the central murder. Nevertheless, Five Red Herrings was a blip in what has otherwise been a strong year for mysteries, which make up a full third of the year's reading. This is down largely to two series--the Holmes canon, which I revisited for the first time since my teens (you can see my thoughts on the various novels and story collections at my Storify account), and Sayers's Peter Wimsey novels. I've read (and in some cases reread) the novels featuring Wimsey's love interest and fellow detective Harriet Vane, but this was my first time through the solo novels, which I am reading in order. 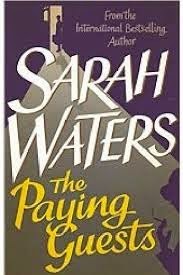 With the obvious exception of Five Red Herrings, it's turning out to be a delightful experience, with Wimsey shining on his own as both a character and a detective (though the classist and occasionally sexist aspects of the novels can be hard to take). Otherwise, it was a quiet year for genre reading. Aside from the mysteries, most of the books I read were either literary or historical fiction. I tend to seesaw between the two extremes as my year-end reviews point out to me how I've neglected a particular corner of my reading, so expect a stronger genre year in 2015 (and anyway, there are quite a few genre novels I'm planning to read in the coming weeks as I gear up for Hugo nominations). Something else that I'd like to focus on in 2015 is reviewing the books I read, which I've neglected terribly this year--though I planned to do so several times, I don't think I've written a single full-length book review this year. Next year, I'd like to not only get back to that, but maybe change up the format of reviews on this blog a little. Instead of concentrating my shorter book reviews into recent reading roundups, I'm thinking of posting them as I go in individual blog posts (I might do the same thing for film reviews as well). I don't know if that's a format that will suit me--I think I've nailed my colors rather firmly to the long review--but it's worth experimenting with. At any rate, my reading resolution for 2015 is the same as every year's, and the same, I think, as every book blogger's--to read more, and more widely, and to blog more about what I read. I'm very much looking forward to Allan's debut novel The Race, which is sitting in my TBR stack, and a great deal of that expectation is rooted in the exceptional quality of this 2013 novella (which deserved a lot more awards attention than it got). Allan's prose is spare and her story is low-key, but with those deceptively simple tools she constructs an elaborate alternate world, in which religion and government are subtly but powerfully different, and magic is real but heavily regulated. The story of a young artist struggling with a difficult family history and her nascent magical powers is woven into the myth of Arachne in ways that are delightful and thought-provoking, but an equal pleasure is Allan's handling of the seemingly mundane topic of an artist discovering her voice and style. The fact that the heroine is engaged in the traditionally feminine (and thus frequently delegitimized) field of textile arts only makes the seriousness with which Allan depicts her process more enjoyable. 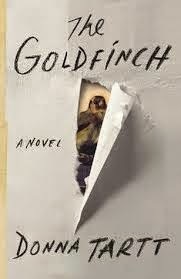 I had no idea what it expect from this book, and yet it's lingered with me through the year. The concept seems gimmicky and calculating--Pride and Prejudice retold from the perspective of the Bennetts' servants--but not only does Longbourn tells its own story, into which the original novel intrudes only occasionally, but it uses its central concept for a lot more than just a refreshing perspective shift. Through her heroines--the thoughtful, searching maid-of-all-work Sarah, and the level-headed but loving housekeeper Mrs. Hill--Baker explores not only the life of a Regency servant, but the effect that class has on women's roles in that era, and on the limitations and expectations placed on them. The final encounter between Sarah and Elizabeth Bennett is devastating for what it reveals about the two women's choice between freedom and security, and for the value that is placed (and often not placed) on their work. Far from repeating Pride and Prejudice, Longbourn uses its outline to make its own statement, and is all the more powerful for it. I read several books this year by Davis, an author of quasi-slipstreamy literary fiction whose dense, impressionistic prose shifts time, place, and point of view at a moment's notice. Versailles--a short novel about Marie Antoinette--is the one that has stuck with me. As much about the palace and its history as it is about its heroine, the novel switches from her point of view to potted histories of the palace, to interludes with her servants and courtiers. Amazingly given its slight size, both the character and the place emerge as fully-formed creations, and Antoinette in particular is sympathetic and interesting (though perhaps a little too prone to self-justification). It often feels as if historical fiction is too beholden to realism, too conventionally structured and plotted. Versailles is a rare and welcome instance of an author experimenting within that form, and it yields great results. A bit of a cheat, since this isn't a book that I read for the first time in 2014, but as my return to Hill House revealed, the first time I read this book it went completely over my head. In my mid-or-late teens, I expected a haunted house story to have, well, ghosts, and preferably an explanation for them. I wasn't able to understand that what makes The Haunting of Hill House so scary is the house's unknowability, and even more than that, the hauntings that the ghost-hunter protagonists--and particularly the troubled, childish heroine Eleanor--bring with them when they come to stay. The second time around, I feel as if I've discovered this novel for the first time, and am kicking myself for not revisiting it sooner. It seems as if, in recent years, Hill House's star has dimmed a little in favor of Jackson's other and equally magnificent novel We Have Always Lived in the Castle--perhaps because its conventions have been recycled by works like House of Leaves, whereas Castle remains utterly unique. 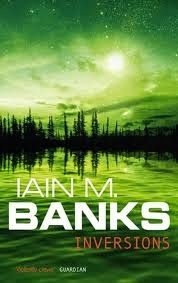 I think it may be time for a rediscovery--I'm sure I'm not the only one who needed to be reminded of what a sharp, tense, frightening novel this is. HHhH by Laurent Binet - At once a nonfiction account of the attempted assassination of Reinhard Heydrich in 1942, a fictionalization of it, and a meditation about the gap between the two, this novel (?) is surprisingly readable and entertaining for such an odd experiment (and such a grim topic). 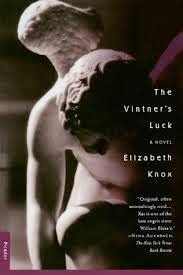 The Vintner's Luck by Elizabeth Knox - A lush, beautifully written historical fantasy about the lifelong love between a 19th century French winemaker and an angel. Weird and indescribable, but utterly enchanting. Swordspoint by Ellen Kushner - This slim volume constructs a whole fantasy world, complete with manners and conventions, within a few chapters, and the political and social drama that it sets within that world (not to mention its central love story) is instantly engaging. 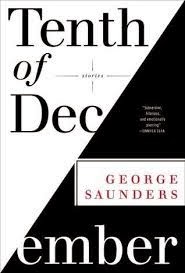 Tenth of December by George Saunders - Sharp, funny, and often extremely weird short stories. Genre readers will like Saunders's forays into that field, but his mimetic stories are equally distinct and memorable.